This is where we keep our “work in progress”. When we are finished, these folders help me keep the papers organized until I can return them. The instructions are right on the folder, so I can get them back in a timely manner. Inside each bin is an inclined file organizer. I got mine at King Dollar here in Houston! The best Dollar store EVER! Now all the work is neat, organized and easy to retrieve….. I have found that I NEED to be able to see the teachers name! See what I mean? I can’t see the teachers names! Next year – Maybe even tomorrow, I’m going to label the envelopes right along the top edge! Always a work in progress! – hope you find this helpful! In 4th and 5th grade my students have folders. I use these folders for keeping track of recorder money and t-shirt money and permission slips and contracts and stuff and sometimes papers if we ran out of time to get out folders. 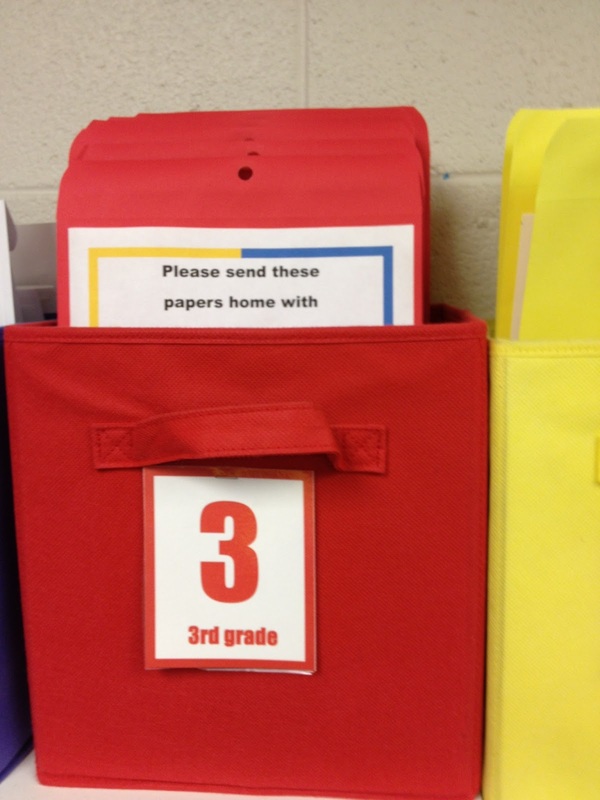 It’s a great place to keep things until they can be placed in student folders. I'm an elementary music teacher, and I am trying to find a way to organize folders similarly to this! 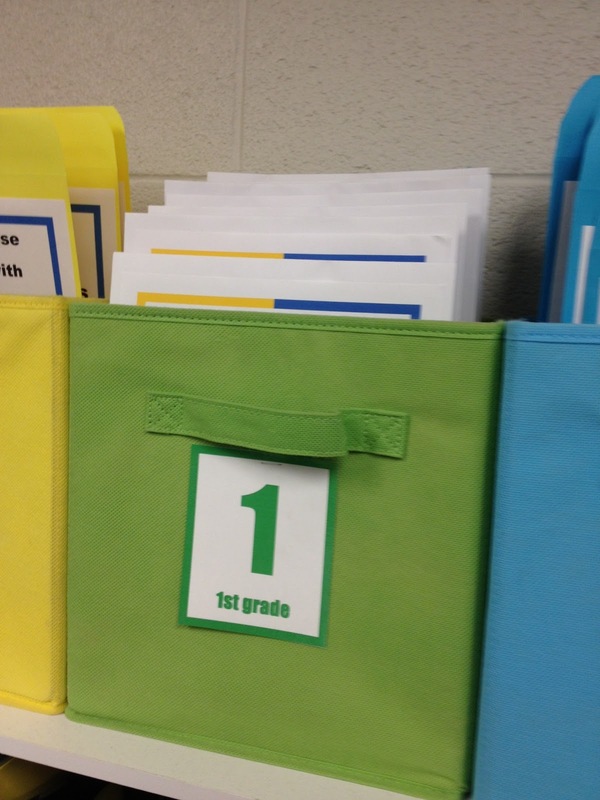 I have hanging files for each grade level with a folder for each class, and that works pretty well. The only thing is that students can't really get to it. 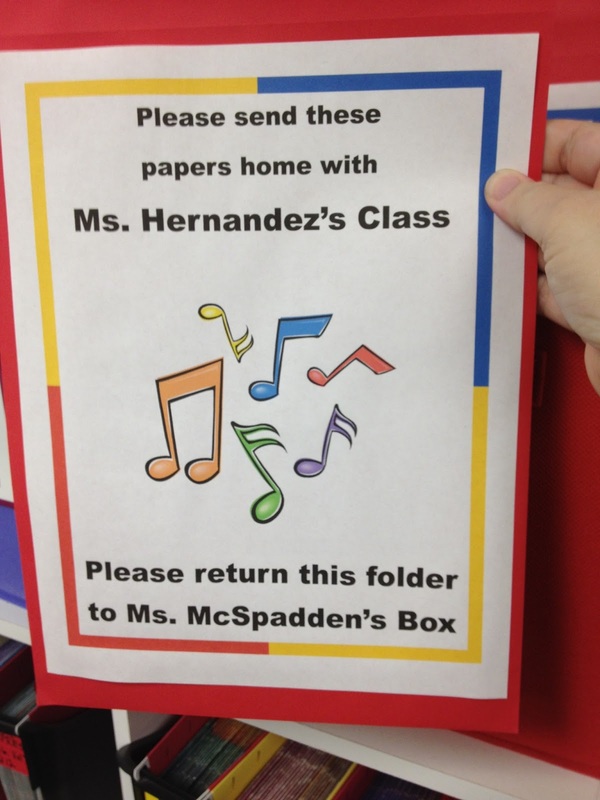 Anyway, I am about to have my 4th/5th graders have music folders. How do you organize those? I would LOVE some help thinking of a solution! Folders are both wonderful tools and challenges to manage. Some years I do better than others. I'll think on it and see if I can consolidate what my procedures are into a future post real soon. Thanks for the idea and the input. Where did you find the cubes? They have been selling them at Target for years. This set is about 8 years old, but I've recently purchased others. I wait things out until they go on sell, and sometimes they come in a double pack. They run for less than $7.00 a piece, and my favorite part is in the summer they fold up and don't take up a ton of space.